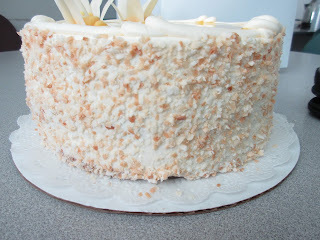 If you have read this blog, you know by now that one of the better bakeries in PVD is Pastiche on Federal Hill. We have had a lot of their products but every now and then something pops up that we hadn't tried before and that the bringer of cake recognizes as something new. They make this raspberry almond cake with a raspberry glaze on the top. Today we had something similar but it was a passion fruit coconut cake. At first we thought it was lemon but we were wrong it was passion fruit. If you see this box, it should be something good. It looks like the raspberry cake but judging by the color it is something else. It's isn't lemon - it's passion fruit glaze. 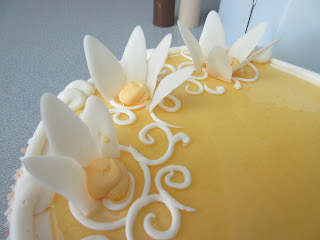 Nicely done with the white chocolate daisies! 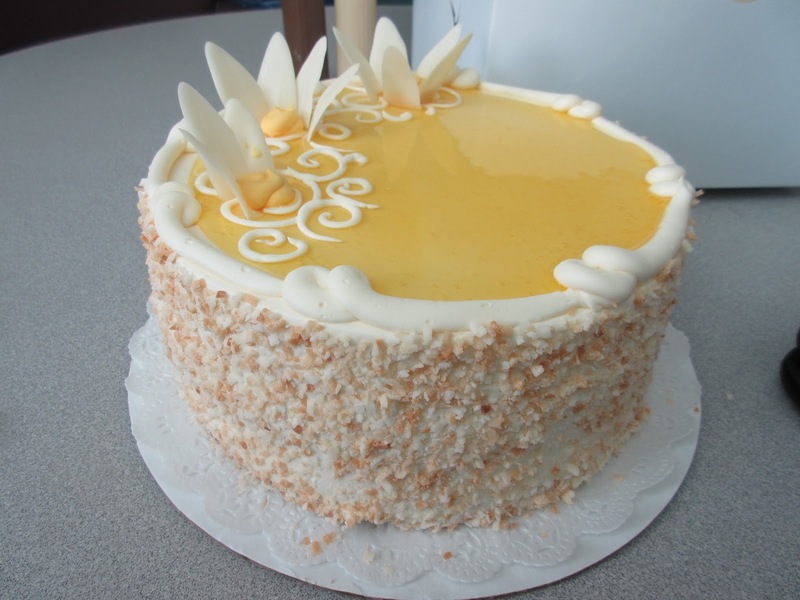 As you can see the cake is, as always, beautifully done with a butter cream frosting that was complimented with a passion fruit glaze on the top, toasted coconut flakes on the side and embellished with white chocolate daisies on the top. There were three layers of white cake with passion fruit cream in between. 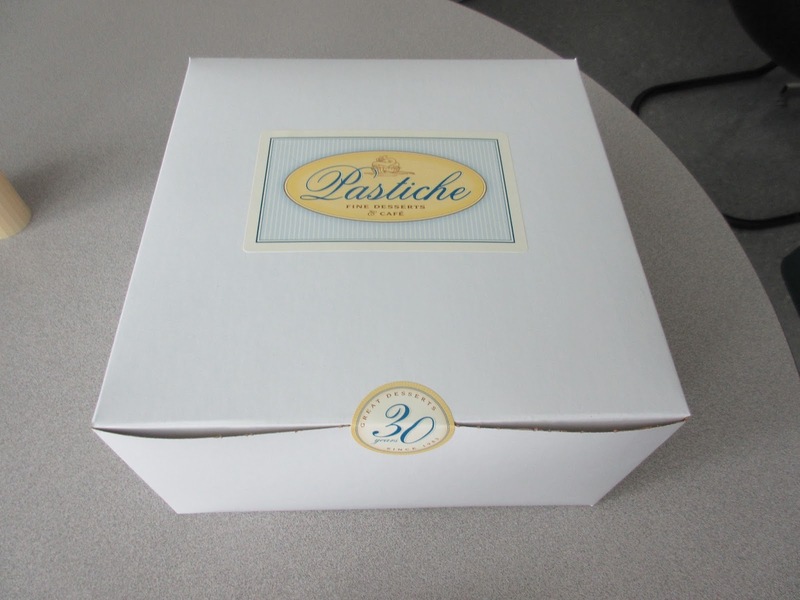 Pastiche's cakes are never heavy and this one was no exception. It was fresh, tasted delicious and we were very happy to have had the opportunity to give it a try. Good work again Pastiche!! Toasted coconut on the sides is the finishing touch. 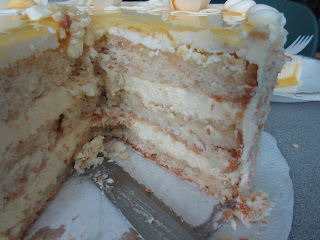 Lots of layers and passion fruit cream....yum! You don't see too many things made with passion fruit around here. 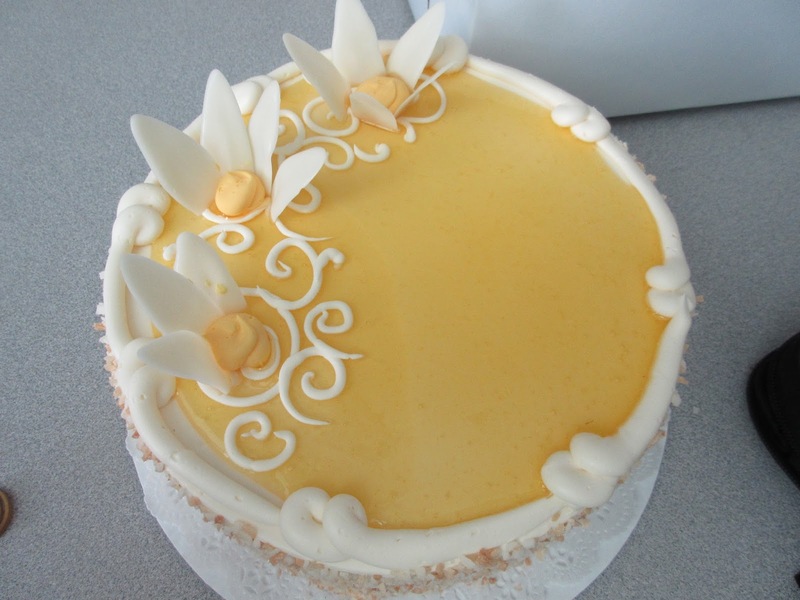 We did have one of our colleagues bring in a cake and had made a passion fruit sauce to go with it. Upon sampling the sauce another person started getting an allergic response. Since her known allergy was to kiwi, we were surprised at what was happening but it turns out that kiwi and passion fruit allergies can be cross reactive. We think it was a coincidence and give no credence to the claim of the allergic one that the one who made the cake and the passion fruit sauce was trying to kill her. 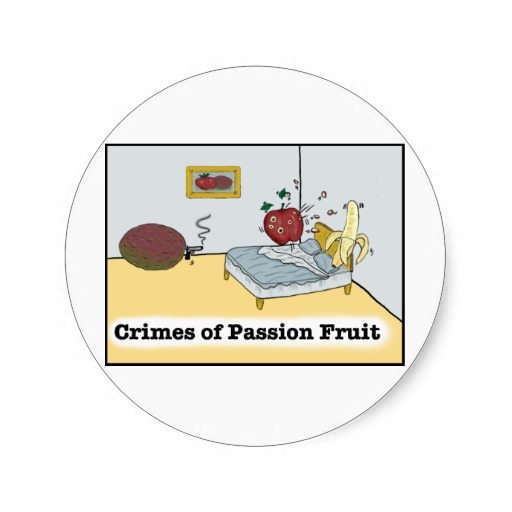 In other words we don't believe it was a crime of passion...fruit. 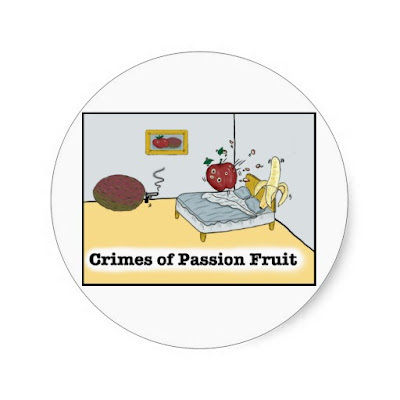 Who knew passion fruit could be deadly!